A judge began hearing legal argument in the dispute, involving Cayman Music and Blue Mountain Music, at a hearing in London. Lawyers said one of the songs at the centre of the dispute was No Woman, No Cry - one of the late Jamaican reggae star's most famous works - and they said millions of pounds were at stake. They said the trial would end later this week. Both sides outlined their case in written arguments given to the judge. The case centred on the "construction" of an agreement made in 1992 - 11 years after Marley's death - under which copyrights in "various musical works" were transferred by Cayman, said lawyers. Cayman claims that the 13 songs were not transferred under that agreement. Blue Mountain, which is responsible for administering rights transferred under that agreement, disputes the claim. Hugo Cuddigan, for Cayman, said Marley agreed a publishing deal with Cayman in late 1973. He said the 13 songs were written by Marley between October 1973 and October 1976. 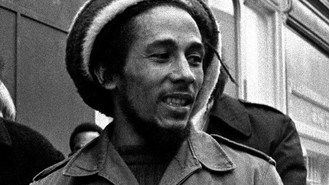 But he said Marley "fraudulently" attributed the songs to other people to avoid the provisions of the 1973 publishing agreement. Lawyers said the 13 songs were Crazy Baldhead; Johnny Was; Natty Dread; No Woman, No Cry; Positive Vibration; Rat Race; Rebel Music (Road Block); Talking Blues; Them Belly Full; Want More; War; Who The Cap Fit; So Jah She. Mr Cuddigan said No Woman, No Cry was the "jewel in the Marley catalogue" and his most famous song. Ian Mill QC, for Blue Mountain, said on the "straightforward application of ordinary principles of contract law" the claim had to be dismissed. He accepted that Marley had "falsely claimed" that the 13 songs had been composed by other people in an attempt to "escape the automatic assignment of their copyright to Cayman". But he said it was "common ground" that as a matter of law the "ruse was ineffective". And he said the "plain intention" of the 1992 agreement was to "transfer all rights".